While you're out and about at the lake, the pool, a sporting event or just running errands, you'll need this combo cooler. 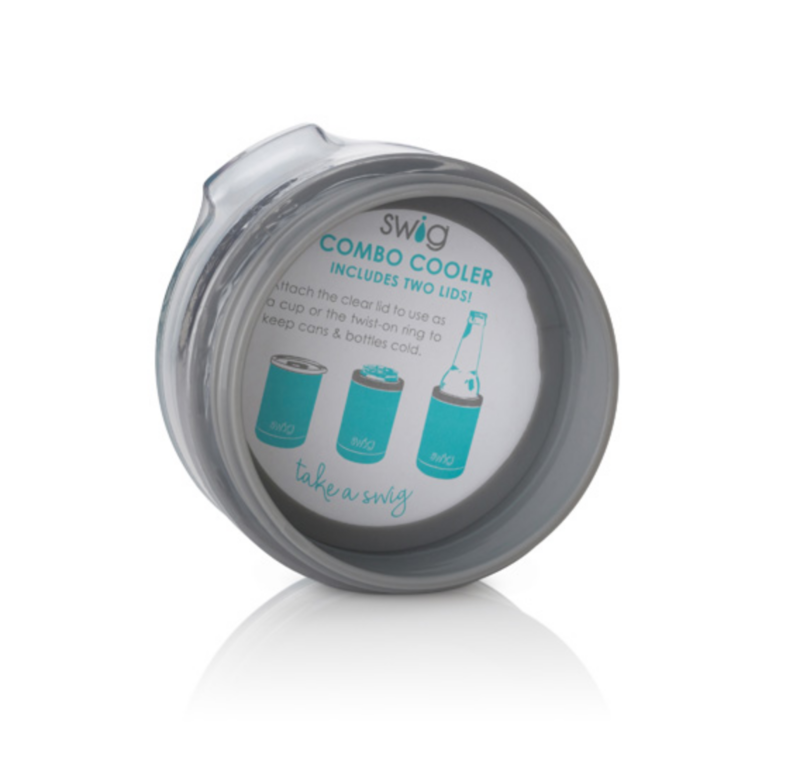 This revolutionary cooler comes with 2 VACUUM SEALED, TWIST-ON LIDS. 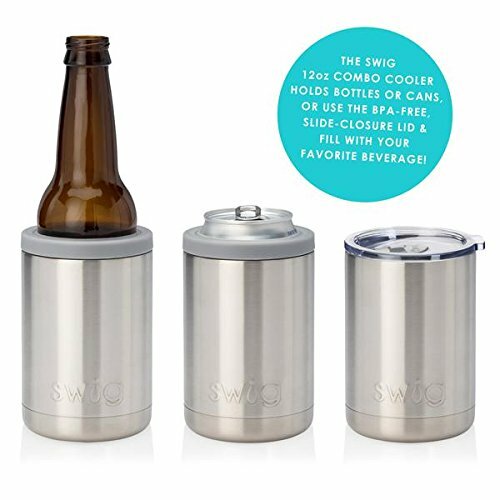 The grey secure plastic ring can be used to hold cans and bottles while the BPA free clear slide-closure lid transforms the cooler to hold up to 12oz of liquid. Both lids have a rubber seal gasket for extra temperature control. Dishwasher safe. 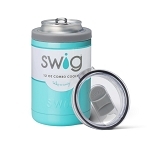 • VACUUM INSULATION - SWiG drinkware uses double walled vacuum sealed insulation technology, meaning the space between the stainless steel walls is void of matter. With no medium for heat to transfer, your drink's temperature will not be impacted by the temperature outside the container. 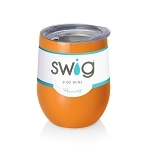 • 304 GRADE - 18/8 STAINLESS STEEL - SWiG drinkware is crafted from 304 grade 18/8 stainless steel. All drinkware is BPA free, FDA approved, highly resistant to rust and to absorbing odor, taste or bacteria. They are easy to clean by hand. • SWEAT FREE - The double wall vacuum insulation prevents condensation from ever forming on the exterior. Hot liquids will not impact the exterior, either. This means your SWiG drinkware will always be comfortable to hold and never make a watery mess in your bag or on your table. • CAPACITY - Holds up to 17oz and fits in most standard cup holders.